KAMPALA – After a bumper harvest in 2017 following the controversial takeover of Crane Bank, dfcu Bank has now recorded a whopping a 51.6% drop in its 2018 profits after tax, which fell to UGX 61.7bn from UGX 127bn, registered the previous year. In annual financial statements published this week, the drop in income means that shareholders will receive less than half the dividends received in the last financial year. 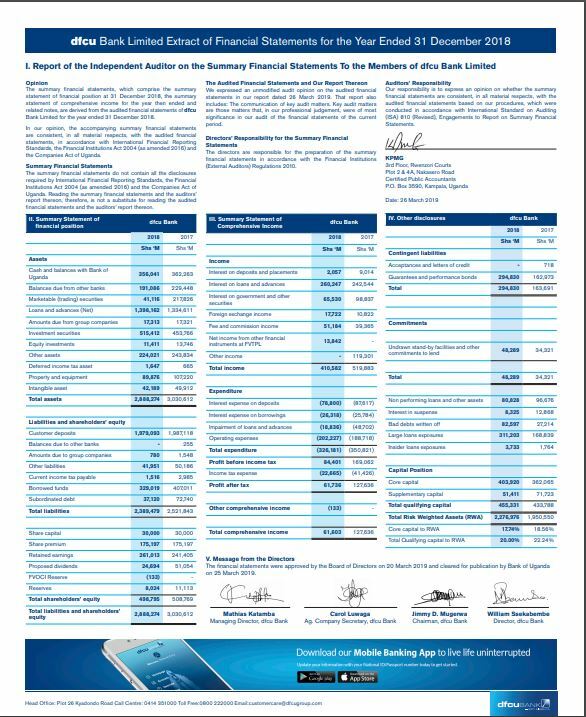 “The Board is recommending a cash dividend of Shs33.01 per share less withholding tax where applicable ” a dfcu Group financial statement accompanying the bank’s statement and signed by Chairman Elly Karuhanga read. In 2017, shareholders received a dividend of UGX 68.24 per share. The drop in shareholders’ dividends is because only UGX 24.7b was set aside to be shared amongst them compared to 2017’s UGX 51b. To make matters worse for dfcu shareholders, the value of their shares has witnessed a 28.8% drop from UGX 970 on July 17, 2018, to UGX 670, a price at which they were trading on the stock exchange on March 27, 2019. The drop is partly attributed to negative public opinion generated by dfcu Bank following the controversial takeover of Crane Bank, with top investors pulling out and senior staff exodus in the aftermath. The dfcu Bank had in 2017 experienced exponential growth from UGX 46.2bn in 2016 to UGX 127bn after taking over Crane Bank, but 2018 was a downward spiral. 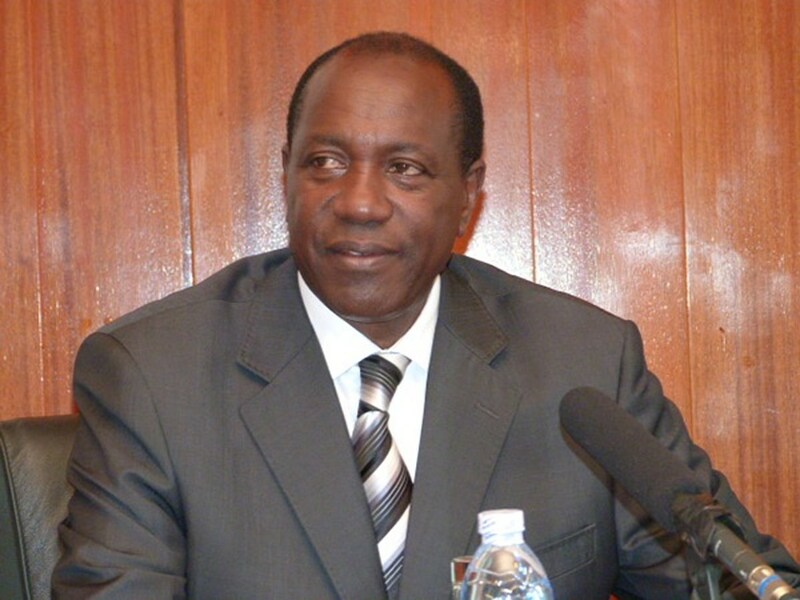 Customer deposits declined by 0.4% from UGX 1.987 trillion to UGX 1.979 trillion in 2018. 2018 also saw assets declining by 4.6% from UGX 3 trillion to UGX 2.88 trillion. The resultant effect was 21% decline in income from UGX 519.8 billion to UGX 410.6 billion, which affected the bottom-line. Financial analysts say that figures have proved that the 2017 take-over of Crane Bank was a windfall for dfcu Bank and they predict that performance will soon fall to pre-acquisition levels. “dfcu Ltd posted a total comprehensive income of Shs 60.8 billion which was lower than last year that included a one-off item of UGX 119 billion which arose from a business combination,” dfcu Bank reports in it’s 2018 published results. “dfcu (Bank) has hit rocky waters writing down former Crane Bank loans by Shs 82 billion. After being catapulted by the ill-fated Crane Bank acquisition for a paltry Shs 200 billion. At its core it needs a revamp of its personal banking business to grab some market share from Standard Chartered and Barclays bank,” an analyst wrote in the wake of the 2018 results.